In response to the ARRL's decision to drop his online column The Amateur Amateur, Gary Hoffman, KBØH, has relaunched his column independently at the-amateur-amateur.com. The staff here at WA1LOU wishes Gary the best of luck with his new venture! 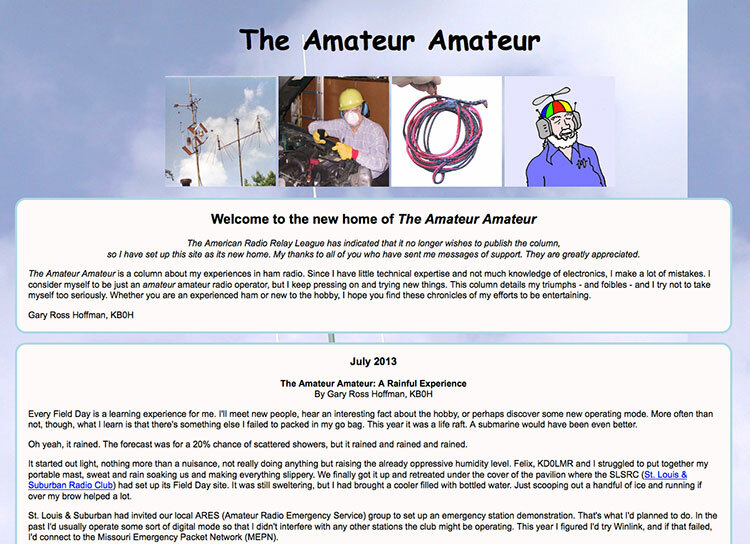 And this blog post represents the relaunch of my column Surfin', which was also dropped by the ARRL. As I wrote in the first installment of Surfin' way back in December 2000, Surfin' discusses webpages related to ham radio. In each installment, I will strive to identify and describe interesting and unique websites devoted to hamming. If you have any suggestions, please send them to me and I will consider them. Anyway, enough with the preliminaries and on with the relaunch of Surfin' --- long may it wave.